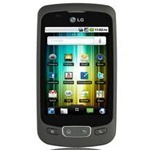 T-Mobile's recently announced LG Optimus T isn't exactly the most specced-out little bugger, despite its Autobot-like name, but according to the carrier's Facebook page, it will have at least one exciting feature: a budget-friendly price point. Indeed, T-Mobile will be selling the device for a seriously considerable $29.99 (on a new two-year contract and after a $50 mail-in-rebate, of course) starting November 3rd. A top-of-the-line device this may not be, but there's no denying that at a price more affordable than that of many messaging phones, many customers will view the Optimus T as an impulse purchase. And hey, who wouldn't want more customers to convert to Android and discover all 100,000 of its apps?